There are so many road bikes on the market. But how the hell should I choose the right bike for me? 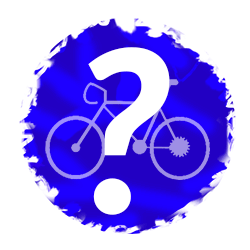 What are the most important things to look for when buying new road bikes? But what are the most important things to look for when buying new road bikes? This Giordano Libero is ideal for the Sunday entry-level rider. That’s definitely the winner of best road bike of 2019 for under $500. Do you know what the color of speed is? Yes, it’s red and black – and Giordano has it! Lightweight but strong, the handcrafted 6061 alloy frame is reliable. This frame is the only choice for bikes under $500 because you really can’t make a decent carbon frame for under $500. Gears – It has Shimano Claris like most of the bikes around this price range. Let’s talk about gears; it has 2 gears in front (50 tooth and 34 tooth) which give you a good overall ratio of speeds needed due to riding conditions. Rims – It has 700c wheels like all road bikes. This number means size. They use Vitesse rims. They aren’t anything fancy but if you use the bike like you should, then the last and let you train well. Assembly – You have to add pedals, handlebars, and few small things. If you’re not comfortable with it, you can always take it to your local bike shop. It might be crucial if you don’t know how to adjust the derailleur. Sizes – Three main sizes. Small – Riders from 5’1” to 5’8”. Medium from 5’8” to 6’2 feet and Large 6’2” to 6’5”. Bottom Line: Great bike for this price. Researching this bike led me to think that it is the best bike for an entry-level road biker for under $500. This is a “Starter bike” as they say. And if you compare my reviews with Amazon ones, then you’ll realize the same – it is a great bike for a beginner in 2019. Weight – 26.05 pounds (includes pedals, reflectors, and kickstand). If you feel like your trusty hybrid just doesn’t cut it anymore and that all of your friends are leaving you behind on weekend rides, it’s time for an upgrade! Tommaso Monza is one of the best road bikes you can get for less than $1,000 (if not the best one), and it is the perfect upgrade that you need to smash those group rides filled with friendly competitiveness or complete arduous centuries. Tommaso Monza is the ultimate entry-level aluminum road bike, weighing around 22 lbs. It has an aluminum frame, but it comes with a Tommaso’s HCT (high-modulus carbon technology) fork, which contributes to the low weight. You can pick between two really attractive colors if you decide to buy Tommaso Monza – Matte Black and Blue. Whichever you choose, you’ll certainly like it, because it looks like it’s flying even when it’s sitting in your garage. To show you how good of a deal Tommaso Monza is, we should deal with the nitty-gritty details as well. First of all, the Tommaso Monza comes with a full Tiagra groupset, which has a great ratio of money vs value. It is a low-end road bike groupset, but it will shift through the 20 speeds like a charm. On the back is an 11-32T cassette, and on the front is a 34/50T crankset. This gear ratio is intended for more casual riders or riders who live in hilly areas, so you’ll end up with a decent range of speeds for all situations. The Tommaso Corsa TC40 wheels will take your riding to another level! They are really lightweight, and the fact they are deep section means they will be fast as well. They come clad in Kenda’s 700x23c tires, which will grip well even on harsher roads. Finally, the brakes are part of the Tiagra groupset, so you’ll stop by using Tiagra brake calipers. Compared to disc brakes, they save weight but don’t detract too much from the performance. 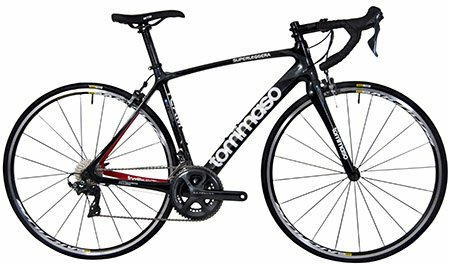 Therefore, if you are looking for the best bike under $1,000 to train on it or take it on group rides and casual weekend rides, Tommaso Monza should be your first choice! Kestrel Legend is one of those bikes that you want to jump on and start riding the moment you see them. 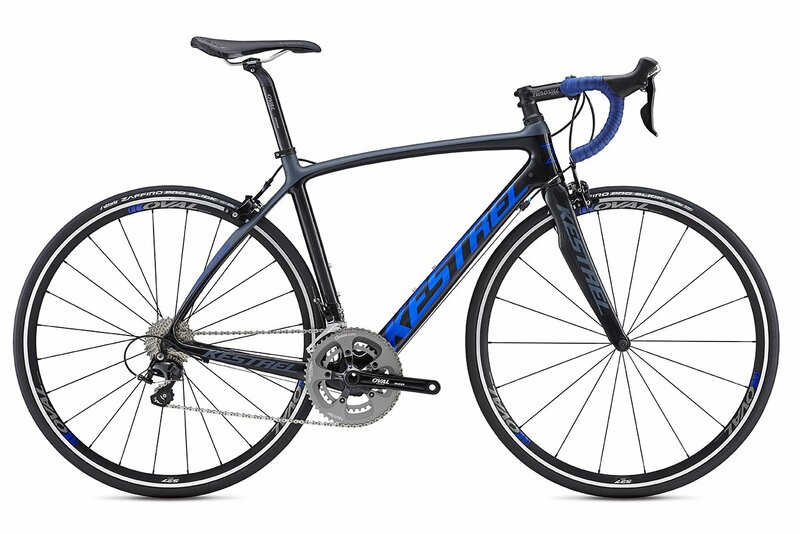 The truth is, most riders can and should afford to do that since this is one of the best road bikes in this price range. Kestrel Legend is one of the best bicycles designed by Kestrel, which is evident from the popularity it has among riders. The previous model achieved great sales results on Amazon and we can already see this new model doing the same. This is a full-carbon road bike, with a frame developed by Kestrel, from their Enhanced Modulus Hybrid carbon compound. It weighs only 17.7 lbs, so it will fly up any hill you take it out on. The best value for money moto extends on components as well since Kestrel Legend is fitted with a tested and proven Shimano 105 groupset. This doesn’t mean that only the derailleurs are Shimano 105 and that other less-noticeable components are low-end parts. The whole drivetrain, excluding the KMC chain, is Shimano 105. The crankset is a 52/36T, whereas the cassette is a fast 11-28T, and has 11 speeds. The shifters and brake levers also have the recognizable Shimano 105 labels on them, and it’s no different with the brakes themselves. However, the brakes are not discs, but clinchers, which a lot of riders prefer anyways. For the wheels, Kestrel decided to use Oval Concepts 527 and wrapped them in Vittoria Zaffiro Pro, 700×25. The tires might need some breaking in when you first start riding the bike, but after some time, they should provide good grip and nimble handling. Another high point of this Kestrel is that it comes 98% assembled already, so if you buy it, you will be able to ride it almost straight away. Therefore, if you are a person who is looking for training and endurance rides, the Kestrel Legend will check all of your boxes without any problems. 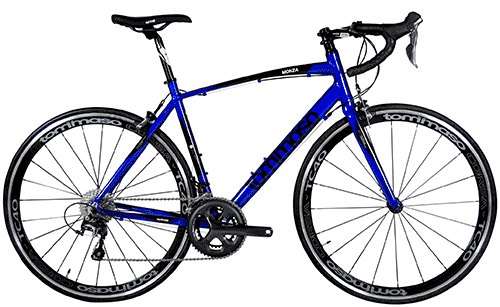 Diamondback is well-known for producing some of the best road bikes on the market and offering them for very competitive prices. They’ve done it again with the Diamondback Century 4C, by developing a full-carbon road bike for less than $2,000. You can try to look further, but it will be difficult to find a better bike for that money anywhere else. Century 4C is painted in gloss burgundy, which looks elegant and sleek. At first glance, it looks more like a high-end than a mid-priced bike, and even at a second glance, it’s hard not to think that way. Take a look at the specs to find out why. Finding a road bike that weighs only 18 lbs and paying less than $2,000 for it, sounds like an impossible task. That was true before Diamondback changed the game. Now, apart from the low weight, for that price, you’ll get durable Shimano components as well. The dominating groupset on the Century 4C is Shimano Tiagra, which you can see on the derailleurs and shifters. This is not a high-end groupset, but it will get you where you need to be. It’s known to have a good money-value ratio and to shift seamlessly in most conditions. Moreover, it will be shifting through 20 speeds in total, on a 2×10 drivetrain that has 50/34 teeth on the crank, and an 11-32T cassette. The lightweight construction and the 32 teeth on the cassette mean that you will be able to conquer even the steepest hills. If you have a couple of hundred dollars more to spare, you can also get the Diamondback Century 5C, which is a great investment as well. For that money, you’ll get two pounds less in weight, and a full Shimano Ultegra groupset, which is a big upgrade from the Tiagra. Other differences include Ultegra rim brakes on the Century 5, whereas Century 4 comes with Tektro mechanical discs. The more expensive 5C model also comes with better Michelin Pro 4 Endurance tires, compared to Diamondback’s tires on the Century 4. The Diamondback Century 4C is the obvious solution for anyone looking to upgrade from their heavy aluminum road bike or a hybrid bike. If you ride your bike to train and to improve your hill climbing skills, buy the Century 4C and you won’t regret it. Best road bike for Italian-lover experts! If you like spoiling yourself from time to time and you’re looking to buy the best in the cycling world, the Tommaso Superleggera road bike is just the thing you need! Tommaso Superleggera comes from Italy, so on top of being a lightweight carbon superbike, it is also stylish and very good looking. A lot of riders say that looks do not matter, but we believe that a beautiful bike is a bike that you will ride more often. There aren’t many road bikes priced at $2,500 that come with Dura Ace 9100 components. That is why Tommaso Superleggera is our pick as the best road bike at this price range. Tommaso Superleggera is super light – it weighs only around 16 lbs. This is in part to the lightweight Monocoque Compact carbon frame that weighs only 950g and the all-carbon fork, but also to other high-grade components. Let’s check those out as well. The first thing that catches the eye on the Tommaso Superleggera is its drivetrain. This affordable carbon bike comes with full Shimano components, such as the Dura Ace 9100 derailleurs, an Ultegra 6800 crankset, and an Ultegra 6800 11-28T cassette. With 22 gears under your feet, you will perform well and leave competition choking in the dust. To go really fast, it’s also important to be able to brake well, especially in the corners. This role is given to Ultegra 6800 brake calipers, which are an upgraded version, so you can brake with a lot more confidence and make up time in the corners. When it comes to tires and the wheelset, the Tommaso Superleggera does not lack here either, with Mavic Aksium Race wheelset, which is fast, light, and extremely durable. It comes coupled with Mavic Yksion Elite Guard 700x25c tires, which are specifically designed for Mavic Aksium wheelset, to maximize performance. As you can see, you get what you expect for $2,500, and even more! This bike will put a smile on the face of anyone who wants to get a competitive edge when racing or take their training regimen to another level. We definitely recommend it! Well, there are bikes, and there are different classes. You can compete in races with an entry-level road bike, but you can’t do it quite well. It is mainly because of the components. You should select the right road bike based on your needs. It’s important to choose well. I’ll let you know of the best road bicycles by price. Okay, let’s have a look at the bikes. I’ve found reviews and compared bikes to bikes. Contacted the manufacturers and picked the best performers. I really want to give you the best choices… my only aim is to be honest with you. 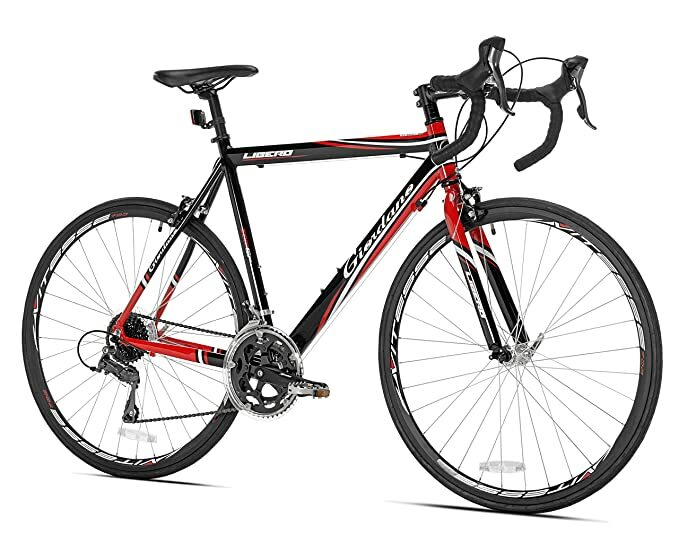 To wrap it up, the best bicycles for entry level road bikers under $500 is the Giordano Libero 1.6. It’s been one of the best-selling bikes in this category and is worth a look. If you got into cycling for training and you’re looking for a bicycle that can support your workout regime, you should consider buying the Tommaso Monza. This bike will get you in shape and easily keep you fit! Due to its extremely comfortable Enhanced Modulus Hybrid Frameset with carbon rear triangle and carbon fork the Kestrel Legend is perfect for those riders who enjoy endurance cycling. If you are planning to ride centuries or Gran Fondos, the Legend will be your best friend. Roadies who are results-oriented should look for the Diamondback Century 4C – a hard value to beat, in our opinion. By investing a little extra $, you can get the upgraded version 5C Carbon, which has even better components for just $2.1k. Those two picks are definitely some of the best-looking bikes on the market! Do you only want crème de la crème in life and that moto extends to cycling? Then you should buy the Tommaso Superleggera. It has a superb Italian design and Shimano Dura Ace 9100 components, which is the best you can get for the price. Whatever you choose, make sure you choose and start enjoying rides again!